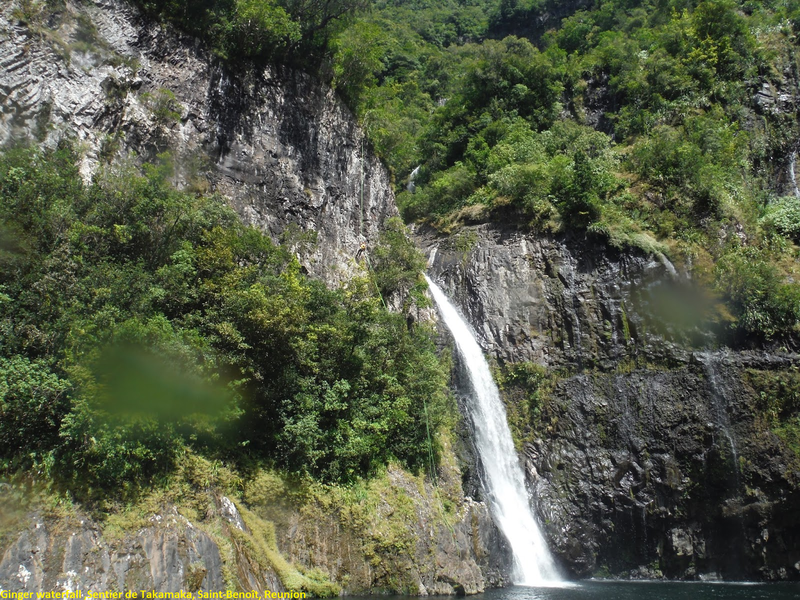 These are two consective waterfall having height 110m.The Takamaka Valley is entirely located in the central part of the municipal territory of Saint-Benoit . It marks the natural limit of the Bébour forest to the west, creating a fracture in the continuity of the plateau of this ancient circus. It is bounded on the south by the dry hillside and the rampart of Patience Island and on the south-east and east by the ridge of the Grand Étang and the ramparts of the Crater Massif.And having beautiful waterfalls. Between Bras Panon and Saint Benoit, you have to take the D53 road that will take you to the parking of the Takamaka Central, a fantastic viewpoint. In the parking there is a funicular of the EDF. left with a panel of danger of the EDF, this will take you to the dam of Takamaka 1, C You cross the riverbed and look for a small path that takes you to the first vertical, the abseiling is mounted on a tree.